Improves elasticity, tone, texture and hydration. Platelet Rich Plasma PRP involves using your own blood as an injectable anti-ageing treatment, it’s a autologous tissue regeneration. PRP therapy is one of the best treatments, more natural approach to facial rejuvenation, natural facial improvement without using synthetic fillers or animal products. It’s rejuvenation with their own cells and more specifically, autologous platelet-rich plasma. It allows the body to heal faster and more efficiently. It stimulates DNA repair, heals scars and makes dry lackluster skin look and feel younger. PRP treatment is a one-off treatment with results noticeable within 3-4 weeks and works especially well for the forehead, cheeks, neck, décolletage, hands, knees, elbows and tackling scars (including acne scars), stretch marks and hair loss. Treatment may need re-doing every 6-12 months because of the on-going ageing process. A small amount of blood is drawn from the patient into a sterile tube in the exact same manner as a standard blood sample. The tube containing a patient’s blood is placed into a centrifuge and spun to separate the plasma and platelets from the other blood components. After a few minutes, the plasma and concentrated platelets are removed from the same tube and re-introduced into the patient at the site of injury, scars, skin, obvious lines or wrinkles. Using a small sterile needle, doctor inject the PRP in and around the desired site. The treatment lasts 40 to 50 minutes and can be applied to any skin type or colour. Is this safe treatment the nearest thing to a ‘perfect’ dermal filler? Time will tell. Freshen up and regenerate from within! For over 20 years PRP was extensively used in sports medicine and orthopaedics to heal injuries. 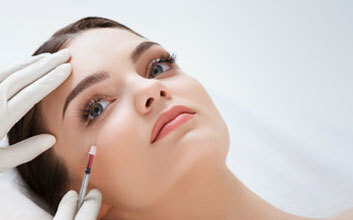 With that knowledge and research we can apply PRP to Aesthetic Medicine. PRP is a completely natural way to rejuvenate, plump and tighten your skin using your bodies’ own natural resources. We offer an initial free, no obligation consultation where our doctor can address any concerns and questions you may have regarding the treatment. Doctor will give you expert advice on what options are available for you to deliver the desired result.